1 He reached (also) Derbe and Lystra where there was a disciple named Timothy, the son of a Jewish woman who was a believer, but his father was a Greek. 3 and Paul wanted him to come along with him. On account of the Jews of that region, Paul had him circumcised, 1 for they all knew that his father was a Greek. 4 As they traveled from city to city, they handed on to the people for observance the decisions reached by the apostles and presbyters in Jerusalem. 5 Day after day the churches grew stronger in faith and increased in number. 6 They traveled through the Phrygian and Galatian territory because they had been prevented by the holy Spirit from preaching the message in the province of Asia. 8 so they crossed through Mysia and came down to Troas. 10 When he had seen the vision, we 3 sought passage to Macedonia at once, concluding that God had called us to proclaim the good news to them. 13 On the sabbath we went outside the city gate along the river where we thought there would be a place of prayer. We sat and spoke with the women who had gathered there. 14 One of them, a woman named Lydia, a dealer in purple cloth, from the city of Thyatira, a worshiper of God, 5 listened, and the Lord opened her heart to pay attention to what Paul was saying. 15 After she and her household had been baptized, she offered us an invitation, “If you consider me a believer in the Lord, come and stay at my home,” and she prevailed on us. 16 As we were going to the place of prayer, we met a slave girl with an oracular spirit, 6 who used to bring a large profit to her owners through her fortune-telling. 18 She did this for many days. Paul became annoyed, turned, and said to the spirit, “I command you in the name of Jesus Christ to come out of her.” Then it came out at that moment. 19 When her owners saw that their hope of profit was gone, they seized Paul and Silas and dragged them to the public square before the local authorities. 22 The crowd joined in the attack on them, and the magistrates had them stripped and ordered them to be beaten with rods. 23 After inflicting many blows on them, they threw them into prison and instructed the jailer to guard them securely. 24 When he received these instructions, he put them in the innermost cell and secured their feet to a stake. 26 there was suddenly such a severe earthquake that the foundations of the jail shook; all the doors flew open, and the chains of all were pulled loose. 27 When the jailer woke up and saw the prison doors wide open, he drew (his) sword and was about to kill himself, thinking that the prisoners had escaped. 29 He asked for a light and rushed in and, trembling with fear, he fell down before Paul and Silas. 32 So they spoke the word of the Lord to him and to everyone in his house. 33 He took them in at that hour of the night and bathed their wounds; then he and all his family were baptized at once. 34 He brought them up into his house and provided a meal and with his household rejoiced at having come to faith in God. 38 The lictors reported these words to the magistrates, and they became alarmed when they heard that they were Roman citizens. 39 So they came and placated them, and led them out and asked that they leave the city. 40 When they had come out of the prison, they went to Lydia’s house where they saw and encouraged the brothers, and then they left. 1  Paul had him circumcised: he did this in order that Timothy might be able to associate with the Jews and so perform a ministry among them. Paul did not object to the Jewish Christians’ adherence to the law. But he insisted that the law could not be imposed on the Gentiles. Paul himself lived in accordance with the law, or as exempt from the law, according to particular circumstances (see ⇒ 1 Cor 9:19-23). 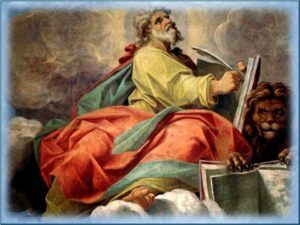 2  The Spirit of Jesus: this is an unusual formulation in Luke’s writings. The parallelism with ⇒ Acts 16:6 indicates its meaning, the holy Spirit. 3 [10-17] This is the first of the so-called “we-sections” in Acts, where Luke writes as one of Paul’s companions. The other passages are ⇒ Acts 20:5-15; ⇒ 21:1-18; ⇒ 27:1-⇒ 28:16. Scholars debate whether Luke may not have used the first person plural simply as a literary device to lend color to the narrative. 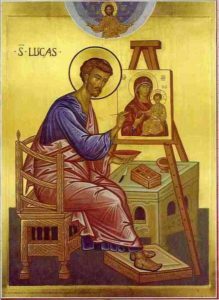 The realism of the narrative, however, lends weight to the argument that the “we” includes Luke or another companion of Paul whose data Luke used as a source. 4 [11-40] The church at Philippi became a flourishing community to which Paul addressed one of his letters (see Introduction to the Letter to the Philippians). 5  A worshiper of God: a “God-fearer.” See the note on ⇒ Acts 8:26-40. 6  With an oracular spirit: literally, “with a Python spirit.” The Python was the serpent or dragon that guarded the Delphic oracle. It later came to designate a “spirit that pronounced oracles” and also a ventriloquist who, it was thought, had such a spirit in the belly. 7  Magistrates: in Greek, strategoi, the popular designation of the duoviri, the highest officials of the Roman colony of Philippi. 8  The lictors: the equivalent of police officers, among whose duties were the apprehension and punishment of criminals. 9  Paul’s Roman citizenship granted him special privileges in regard to criminal process. Roman law forbade under severe penalty the beating of Roman citizens (see also ⇒ Acts 22:25).